You will learn how to improve your websites’ position in the search engine results for keywords that your target audience are likely to search. This is paid advertising, where you can bid for a placement in the search engine results for the keywords that are relevant to your customers. This is one of the building blocks of Search Engine Optimisation – without links to your website, the search engines will struggle to find it, and will deem it less important than your competitors who do have links. Social media can be used for marketing, but it’s worth planning and working out a recipe that will add value for your audience. Without this, it will be seen as advertising or noise. 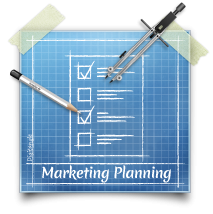 Planning your marketing activities effectively can help you make the most of your time and budget. Understanding the results of your marketing and website can help you progress and grow much more efficiently. You waste less, and spend more on what works.